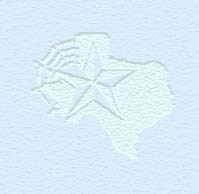 Welcome to the Liberty County, Texas USGenWeb Project Genealogy site. Billy & Carla Karbowski Clifton are the coordinators for this county. We have adopted this site as part of the TXGenWeb Project. It is our goal to provide you with a great source for genealogical information on Liberty County, Texas, so continue to visit our site on a regular basis and watch us grow. We need TRANSCRIBERS! If you would like to volunteer to assist in some way, please email us for information.